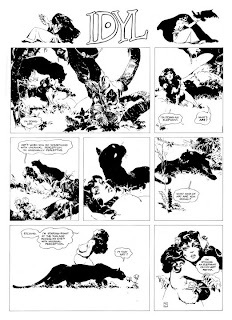 Anyway, one of those books that I was thinking would be a natural fit for some savvy publisher's line is a reprint/expansion of Jeffrey Jones' collection, Idyl—combined, naturally with the semi-related "I'm Age" strips. 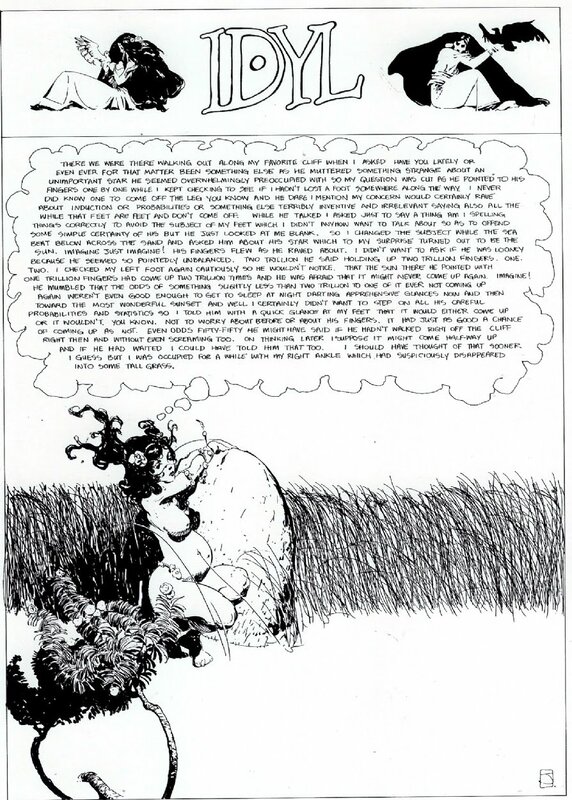 Jones created the "Idyl" one-page comic for the National Lampoon for a number of years; beautifully drawn, by turns poetic, humorous, or nonsensical, people loved it (even if it was rarely understood). Blue Star published a collection of the strips in 1975; Roger Dean's Dragon's Dream produced a smaller reprint in 1979. It's been out of print for maybe 25 years now. "I'm Age" was a sorta-sequel that ran regularly in Heavy Metal magazine and was similar to "Idyl," if perhaps a bit more philosophical in tone: those strips have never been collected. Wouldn't it be nice if they were? 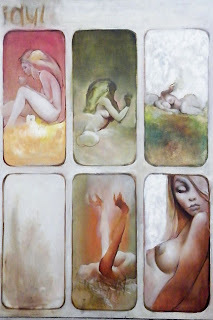 Jeffrey, who had briefly drawn a comic strip called "The Jones Touch" for a men's magazine, originally planned to paint each installment of "Idyl," but abandoned the idea as being too much work early on. Above is an uncompleted sample of the approach he would've taken. This original is currently for sale on the Graphic Collectibles website. 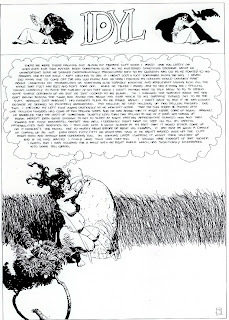 Above is the final installment of "Idyl" that ran in National Lampoon. 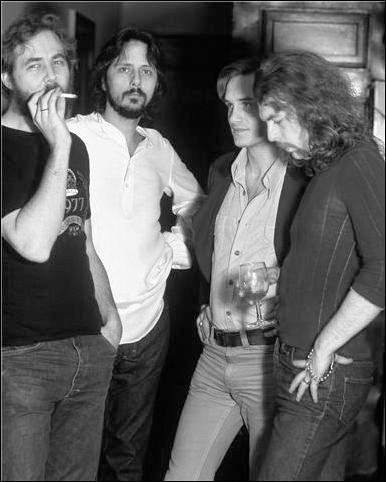 Above is a photo of The Studio by Sean Smith, circa 1978 or 1979 (around the time Jones was drawing "Idyl"): Michael William Kaluta, Jeffrey Jones, Bernie Wrightson, and Barry Windsor-Smith. By the by, Maria Cabardo (formerly of WotC and Vertigo) has been working to complete a documentary about Jones and is still shy the funds necessary to complete it. You can view a trailer at the Kickstarter website and, if you're inclined, follow the links and maybe make a contribution to help it reach fruition.